Ali Shariati was born on November 24, 1933, in Mazinan, a village located in the province of Khorasan, Iran. He was the first born son of Muhammad-Taqi Manzinani, who was a teacher and the founder of The Center for the Propagation of Islamic Truths. In 1941, Shariati entered elementary school called Ibn Yamin, a private school where his father taught in Mashhad. During his high school years, Shariati spent his time reading books from his father's extensive library. His studies led him to a self-described "crisis of faith," during which he struggled with doubt about his own religious beliefs and faith in God. It was during this time that he turned to texts on mysticism for solace. After graduating high school in 1950, Ali Shariati attended Mashhad’s Teacher Training College, from which he graduated in 1952. In the few years after his time at the Teacher Training College that Shariati began to form his ideas about Islam. He began developing theories about the way that the Islamic tradition could provide a blueprint or model for a perfect society. It was also during this time that Shariati produced some of his first influential works, Abu Zar-e Ghifari and Maktab-e Vaseteh- Islam, about Islam. 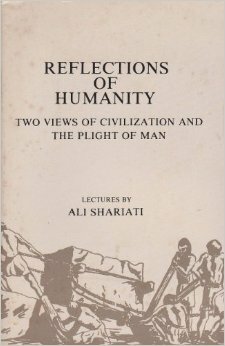 In these works, Shariati creates the "perfect man" in the figure Abu Zar, who served as a model of what a Muslim should be. During his time at the Teacher Training Center, there were several events that began to shape Shariati's political views. The first was the nationalist movement in Iran in 1950-51 led by the Iranian prime minister at the time, Mohammad Mosaddeq. Shariati participated in political rallies and meetings and was a central member of a group that rose out of his father's Center, a group called The God-Worshiping Socialists. This group joined with the Iran Party and then later moved to the League for the Freedom of the Iranian People. After the 1953 coup, Shariati joined a group called the National Resistance Movement. On February 28, 1954, Shariati was arrested and held in jail for seventeen days on charges of agitation in the form of pro-Mosaddeq protests. Even so, Shariati managed to earn his diploma in 1954, with a specialization in literature. In 1955 he entered the University of Mashhad as part of the Faculty of Literature. Shariati received a B.A. in Persian literature from the University of Mashhad in 1958. Earlier that year, Ali Shariati married his wife Pouran on July 15, 1958. Upon graduation Shariati was offered a scholarship, and in 1959 he went to Paris, France, with his wife and son to further his education. He received a doctorate in History of Medieval Islam from the University of Paris in Sorbonne in 1963. In 1964, Shariati and his family moved back to Iran. 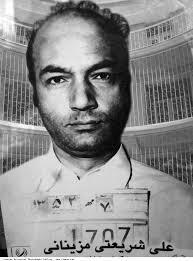 When Shariati returned to Iran, he was immediately arrested and taken to Khoy prison in Azarbayejan. He was later transferred to another prison in Tehran. Approximately two months after his transfer, Shariati was released and went back to Mashhad. Between 1964 and 1967, he began lecturing at the Hosseiniyeh Ershad Institute. It was during this time that he wrote Kavir, a sort of autobiography. From 1971-1972, Shariati engaged heavily in political activism, giving insurrectionist speeches that called for the overthrow of the political and economic system in Iran, and by extension, the Shah. He was imprisoned for his revolutionary actions in September 1973, and was held at Komiteh prison until 1975. In May 1977, Shariati left Iran for London. His absence alarmed SAVAK, the Iranian secret police force, who issued orders to find him and spy on him. His family soon joined him in London, under careful watch from SAVAK. On June 21, 1977, Ali Shariati died suddenly of a heart attack at the age of forty-four. The suddenness of his death immediately created suspicion surrounding the Iranian government. His body was sent back to Damascus, where he was buried. "Ali Shariati: Teacher, Preacher, Rebel." In Pioneers of Islamic Revival, edited by Ali Rahnema, 208-250. 2nd ed. London; New York: Zed Books, 2005. This text, published in January 1969, was a collection of some of Shariati's lectures given at the University of Masshad. 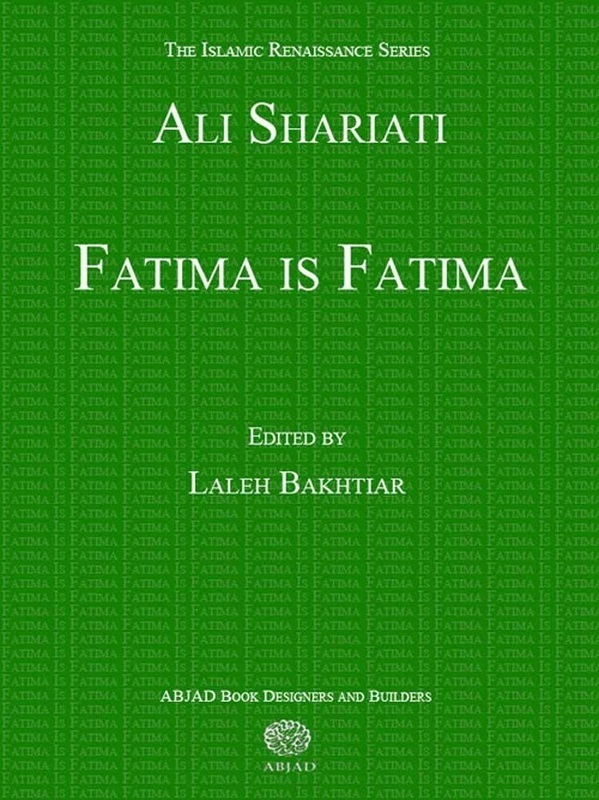 The lectures came from his course on the history of Islam, and this text contained the beginnings of many of Shariati's ideas about Islam and Islamic society. 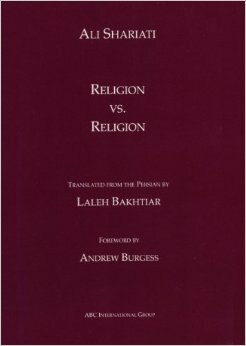 In this text, Shariati includes fourteen characteristics of "original Islam." Shariati presents the ideal form of Islam as being modern and democratic. He then attacks both the monarchy and the formal clergy, accusing these institutions of preventing the people from going back to the original Islam. Finally, Shariati spoke out in opposition of polytheism, which he understood as individuals who wanted to place themselves before God. 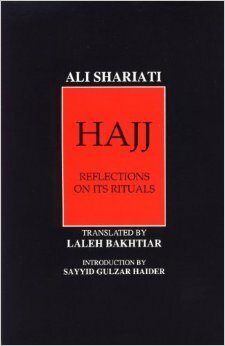 Shariati found himself in conflict with a number of established clergy members as a result of this publication. In 1971, Shariati was denied his teaching position at the University of Masshad, and he began to focus all of his energies on the Hosseiniyeh Ershad Institute. Here he used discourse to spur others into political activism and rebellion. During this time, several of Shariati's friends and acquaintances in the Peoples' Fadai'an of Iran and the Peoples' Mojahedin of Iran took violent action against the regime of the Shah. They were subsequently arrested and executed. Shariati took the opportunity to speak out publicly against the Shah in the wake of these rebellions. On November 19, 1972, SAVAK, or the Shah's secret police shut down Hosseiniyeh Ershad as a result of the awareness that Shariati had raised. A subtitled lecture given by Dr. Shariati on the subject leadership in the east and west in Shi'ism. The Europeans realized that by tempting the inhabitant of the East with a compulsive desire for "modernization", he would cooperate with them to deny his own past and desecrate and destroy with his own hands the constituents of his own unique culture, religion and personality. So the temptation and longing for "modernization" prevailed all across the Far East, Middle East, Near East and in Islamic and Black countries and to become modernized was regarded as becoming like the Europeans. Strictly speaking, "modernized" means modernized in consumption. One who becomes modernized is one whose tastes now desire "modern" items to satisfy his wants. In other words, he imports from Europe new forms of living and modern products, and he does not use new types of products and a lifestyle developed from his own original and national past. Non-Europeans are modernized for the sake of consumption. Westerners, however, could not just tell others they were going to reshape their intellect, mind and personality for fear of awakening resistance. Therefore, the Europeans had to make non-Europeans equate "modernization" with "civilization" to impose the new consumption pattern upon them, since everyone has a desire for civilization. "Modernization" was defined as "civilization" and thus people cooperated with the European plans to modernize. Since the non-Europeans could not produce the new products, they became automatically dependant upon the technology which produces for them and expects them to buy whatever it produces. Modernization is changing traditions, mode of consumption and material life from old to new. To make all the non-Europeans modernized, they first had to overcome the influence of religion, since religion causes any society to feel a distinctive individuality. Religion postulates an exalted intellectuality to which everyone relates intellectually. If this intellect is crushed and humiliated, the one who identifies himself with it feels also crushed and humiliated. So native intellectuals began a movement against "fanaticism". As Franz Fanon says: "Europe intended to captivate the non-European by the machine. Can a human or society be enslaved by a machine or certain European product without taking away or depriving him of his personality?" No, it can not. The personality must be wiped out first. A subtitled lecture given by Dr. Shariati on the importance of leadership. A short biographical film on Dr. Shariati done by Shia Translation. Part one of a lecture about Shariati and Hajj given by Sayed Ammar Nakshawani, a scholar of Islam and noted sectarian. Abedi, Mehbi, and Mehdi Abedi. "Ali Shariati: The Architect of the 1979 Islamic Revolution of Iran." Iranian Studies 19, no. 3/4 (1986): 229-34. Rahnema, Ali. An Islamic Utopian. London; New York: I.B. Tauris, 1998. Tariq, Malik Mohammad. 2013. 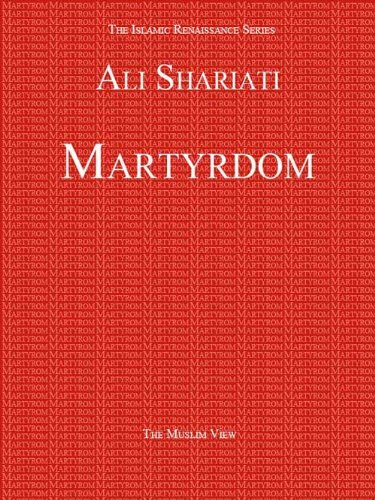 "Ali Shariati's View of Islamic Modernity." Dialogue (1819-6462) 8, no. 3: 335-345. Academic Search Complete, EBSCOhost (accessed October 22, 2014). Nakshawani, Sayed Ammar. "Part 1/6 - Sayed Ammar Nakshawani - Hajj In the Eyes of Dr Shariati" Recorded March 11 2010. UCL AhlulBayt Society. Web, https://www.youtube.com/watch?v=Z8I00oUq-h8. Shariati, Ali. "[ENG SUBS] Dr. Ali Shariati on the Importance of Leadership" Recorded Oct 31 2011. Shia Translation. Web, https://www.youtube.com/watch?v=vbEqQ3oFGAo. Shariati, Ali. "Dr. Ali Shariati on Role of Leadership in West vs. Role of Leadership in Shi'ism [Eng Subs]" Recorded Aug 27 2011. Shia Translation. Web, https://www.youtube.com/watch?v=l-oyTPxaiAY. Shariati, Ali. "Jihad and Shahadat." Iranian Chamber Society. January 1, 2001. Accessed October 24, 2014. http://www.iranchamber.com/personalities/ashariati/works/free_man_freedom_man.php. Shariati, Ali. "Reflections of Humanity." Iranian Chamber Society. January 1, 2001. Accessed October 24, 2014. http://www.iranchamber.com/personalities/ashariati/works/free_man_freedom_man.php. "Short Biography of Dr. Ali Shariati [Eng Subs]" Recorded Nov 29 2011. Shia Translation. Web, https://www.youtube.com/watch?v=SEQDrToV_eo.